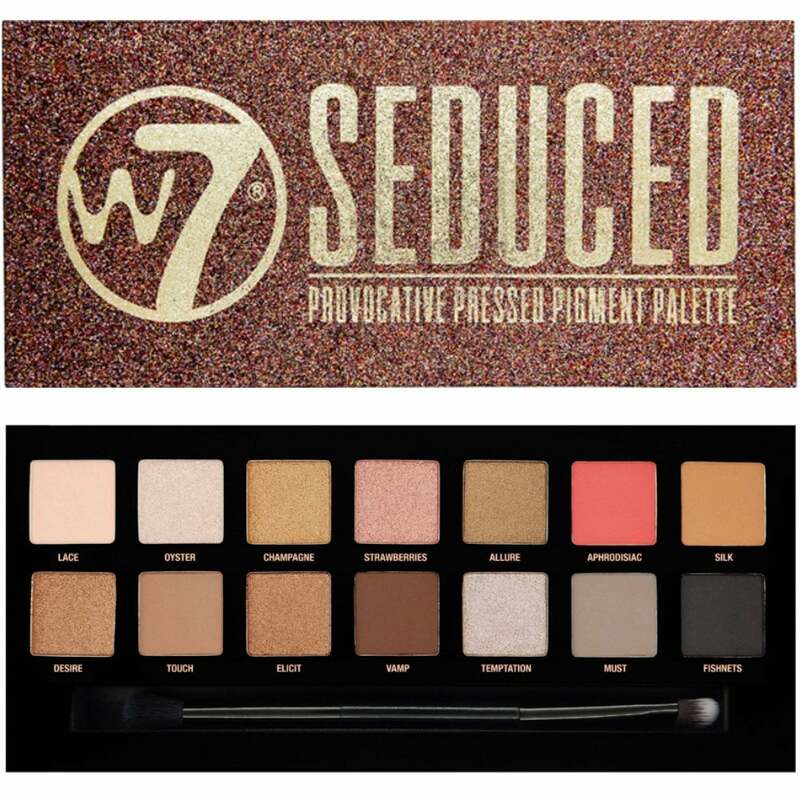 W7 Cosmetics Seduced 14 Colour Eyeshadow Palette contains a provocative selection of creamy matte, shimmer, glitter & metallic hues. From pearly pinks to gorgeous golds, the sublime colour selection provides everything needed to create a variety of stunning eye looks. Each hue is ultra-pigmented, super long-lasting and completely blendable. Coming complete with a complimentary eyeshadow brush and housed in a stylish mirrored compact, this palette is also completely cruelty-free.